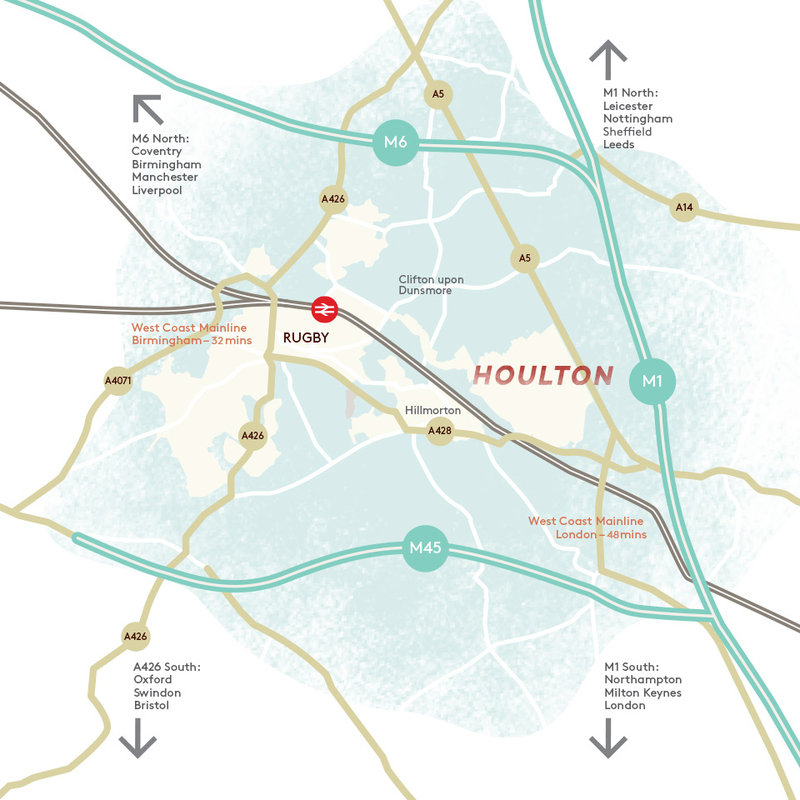 Close proximity to the M1, A5, M6 and M45 puts you in the heart of the commuter network if you’re jumping in the car and if not then the West Coast Mainline will get you to London in 50 minutes and Birmingham in 30 minutes. Rugby town centre is less than four miles up the road and with Houlton’s own bus service, why not let someone else drive. By the end of 2019 there will also be a brand new link road built, connecting the site to the town centre and making getting into Rugby town centre even easier. If you like a blast of fresh air on your commute then use our many footpaths and cycleways to help you on your way. 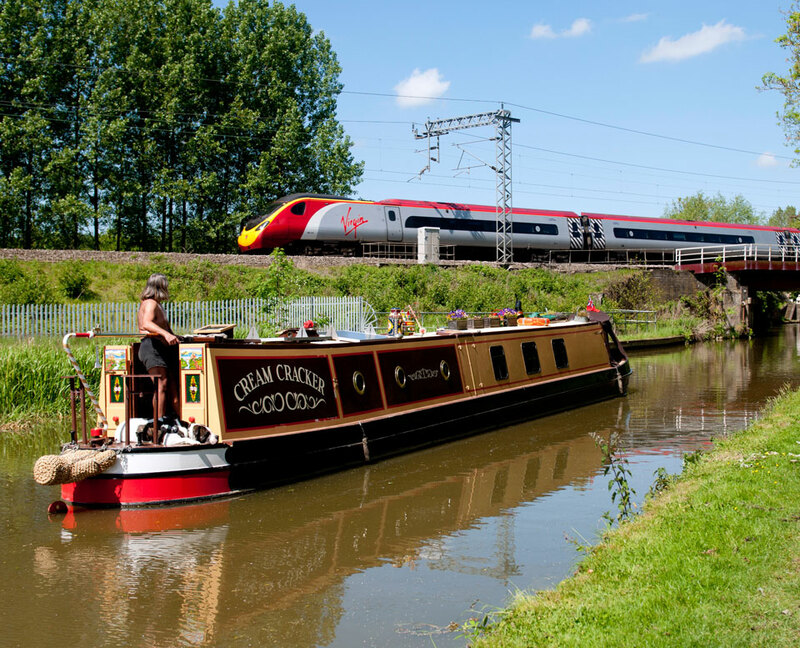 Join the road network or wind your way into town along the canal. 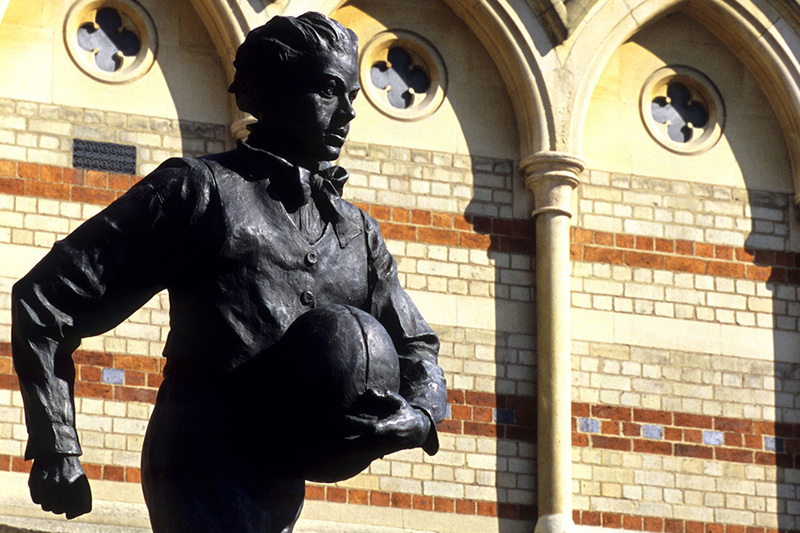 With roots going all the way back to the Roman time, Rugby is most famous as the birthplace for the game. Where William Webb-Ellis picked up that ball. Its centre retains a true market town feel with a vibrant independent quarter boasting quaint boutique shops and fantastic eateries. And of course, the prestigious Rugby School. For more information about life in Rugby, visit the Enjoy Rugby website.